The enduring style of the tennis bracelet is on dazzling display in this C-profile style from Roberto Coin's Cento collection. Crafted in 18K white gold, the pretty piece of jewelry features a row of radiant gemstones that will wrap around your wrist wonderfully well. 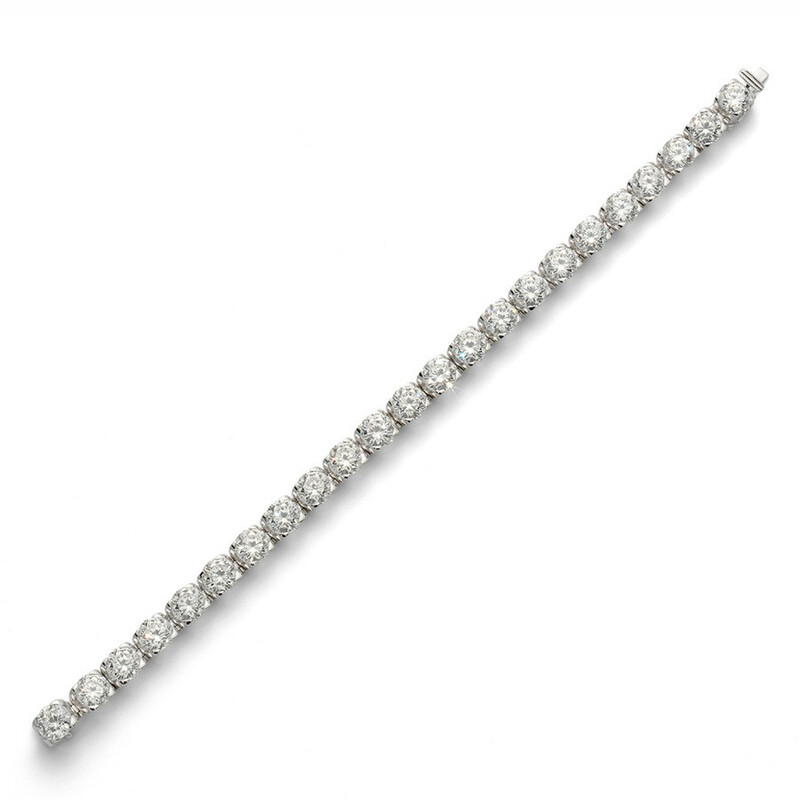 You'll sparkle plenty with this Roberto Coin tennis bracelet!